20th century * Introduction by former President George H. W. Bush Written by an author who rose from military officer to administration insider, this is a vivid, unvarnished view of America's fight against Communism, from the end of WWII to the closing of the Strategic Air Command, a work as full of human interest as history, rich characters as bloody conflict. 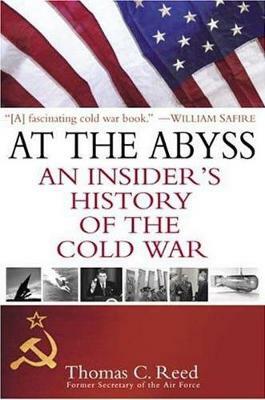 At the Abyss is an insider's dramatic account of the dark decades of the Cold War, from its beginnings in the 1950s through to the eventual collapse of the Soviet Union in 1991. It tells how calm and steady hands on both sides of the Atlantic walked back from the edge of nuclear warfare, revealing how perilously close the US and Soviet Union came to nuclear war, time and time again. Among the unforgettable figures who devised weaponry, dictated policy, or deviously spied and subverted: Whittaker Chambers- the translator whose book, Witness, started the hunt for bigger game: Communists in the US government; Lavrenti Beria - the head of the Soviet nuclear weapons program who apparently killed Joseph Stalin; Col. Ed Hall - the leader of America's advanced missile system, whose own brother was a Soviet spy; Adm. James Stockwell - the prisoner of war and eventual vice presidential candidate who kept his terrible secret from the Vietnamese for eight long years; Nancy Reagan - the `Queen of Hearts,' who was both loving wife and instigator of palace intrigue in her husband's White House. From Eisenhower's decision to beat the Russians at their own game, to the`Missile Gap' of the Kennedy Era, to Reagan's vow to `lean on the Soviets until they go broke' - all the pivotal events of the period are portrayed in new and stunning detail with information only someone on the front lines and in backrooms could know. "In the 1960s Tom Reed was one of Livermore's most creative designers of thermonuclear devices. During the years that followed, his career as a practicing physicist and as a public servant has been first class."